There is so much to see and do at the festival. Learn about some of it right here, and don't miss a thing! We at GrassRoots have never been much for pigeonholing our interests. As we see it, music is music is music. There’s no reason not to experience the whole spectrum over these four days. 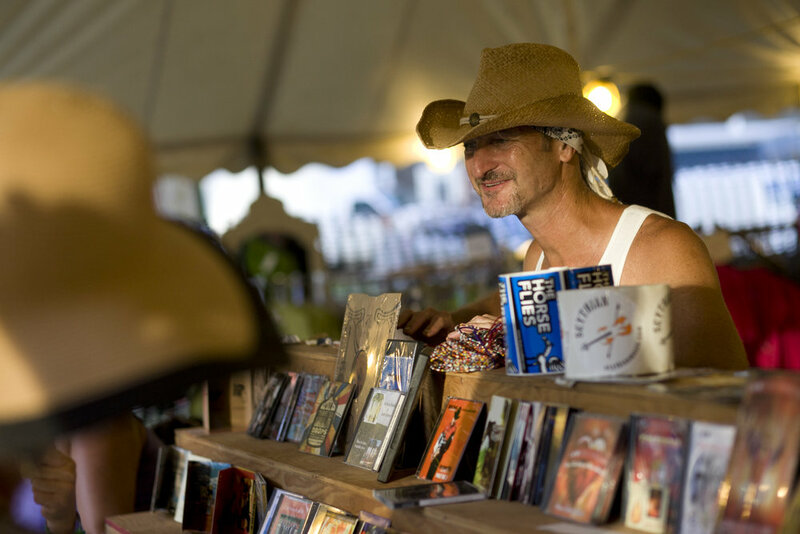 And, just as the music here can’t help overflowing from the stages to the campsites, so too is the ethos of the Art Barn. Stop in, immerse yourself, catch some fantastic installation pieces by local artists and be a part of the whole experience. The Art Barn is organized and curated by Allison DeDominick of ARTe along with some fantastic volunteers and, of course, some amazing artists. GrassRoots is excited to be hosting an annual sustainability fair and to continue on as supporters and leaders of sustainability and environmental and social justice in the beautiful Finger Lakes region. We invite you to participate in this platform for local businesses and non-profits. Find out about the plethora of green technologies and offerings flourishing right here in the Finger Lakes and help them continue to thrive! 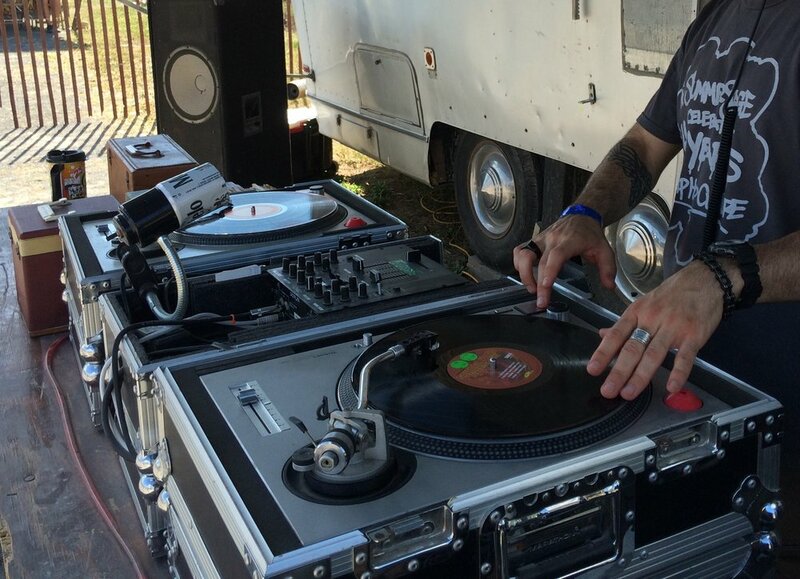 The GrassRoots Vinyl Lounge features record selectors spinning tasty grooves throughout the festival, between sets on the Grandstand Stage and after hours. Located on the track right next to the Beer & Wine Garden, it's the perfect spot to mellow out with friends, have a listen, and dance to timeless tunes and rare cuts. Get yourself a comfy all-cotton tee, tank, or hoodie, or perhaps some sort of cool hat. Maybe a water bottle? A coozie? Oooh, how about earplugs or sunscreen? We've got it all. We've also got an enormous selection of music by GrassRoots performers so you can create your own all-night dance extravaganzas or easy listening playlist for those long morning commutes. Join us under the tent near the front gate, across the way from the Dance Tent. Native artists will demonstrate and sell beautiful bead-work, jewelry, Guatemalan weaving, and all manner of Native art, music, and information. Throughout the weekend in the Dance Tent look for the Ongwehonweh dancers from Canada, featuring the Hildago family, ages 5-10, performing in their traditional Mohawk dress. 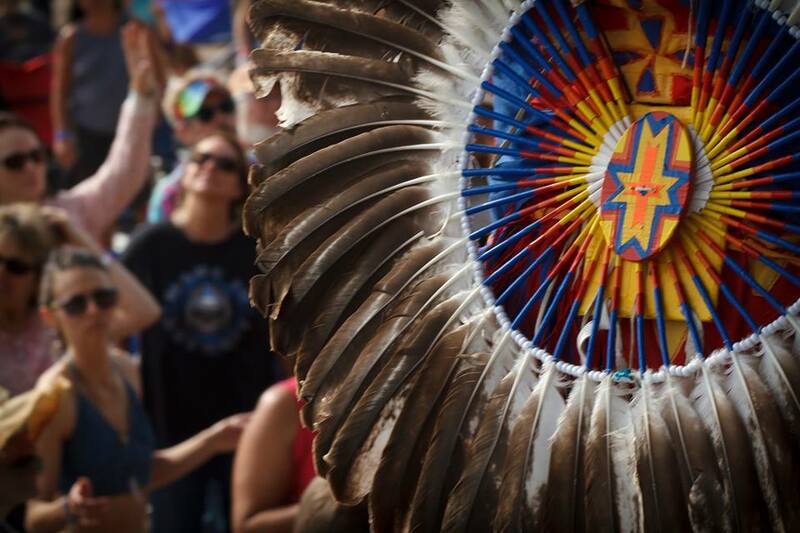 Native American tradition celebrated through pow-wow dances and art teaches us a pre-columbian spiritual awareness, and about a culture that lived in a harmonious way with the Earth. Storytelling is one of the most ancient and powerful ways of communication and connecting with people. From the earliest days, it has been considered and art, one of the primary ways that everyone received information. Stories more than anything else, capture the essence in our lives and we invite you to join us for this experience. Check this year's program for details on when and where.